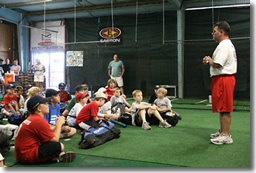 If you are looking for information on the The Hitting Academy franchise business opportunity, The Hitting Academy franchises or The Hitting Academy franchising, then you have come to the right place. The Hitting Academy is a state-of-the-art, indoor baseball and softball training facility franchise that also features a retail component. At The Hitting Academy, athletes of all ages and skill levels can train in an environment that is typically only found at major universities or professional complexes. As we continue to expand we're looking for select individuals to join us. 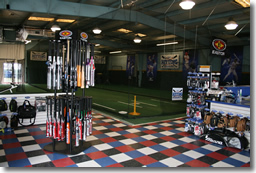 As a Hitting Academy franchisee you'll own a business that taps into America's love of baseball. Although previous baseball experience is beneficial, it is not required. We provide you with a complete turnkey business system and thorough training in all aspects of the business. With The Hitting Academy franchise opportunity you can do what you enjoy and enjoy what you do! Low-overhead- A small retail footprint and minimal staffing help you keep the operating costs down. Constant supply of baseball and softball players. Appeals to players of all ages and abilities. 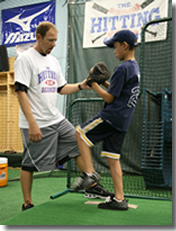 Player demand for baseball and softball training services that provide a "competitive edge". Limited competition in the marketplace- There's a lack of state-of-the-art facilities. Proven coaching services - The Hitting Academy has designed a "System" for teaching proper hitting mechanics through a step-by-step program that is simple, easy to understand and produces positive results. These positive results translate into repeat business and word of mouth advertising for your location. Sporting good sales - Your center will feature a retail component that offers players and parents a convenient option for purchasing an array of products from leading manufacturers. Our strong buying power provides you with access to top of the line sporting goods at highly competitive prices. We also teach you how to generate team sales and how you can make retail a major part of your business. Membership - Our monthly membership program lets players can choose how often they want to hit and how much instruction they'd like to receive through The Hitting Academy's hitting rounds, clinics, and private lessons. There are numerous membership options as well as a la carte services. Membership fees are collected through a monthly draft, which provides you with a membership-based business model.